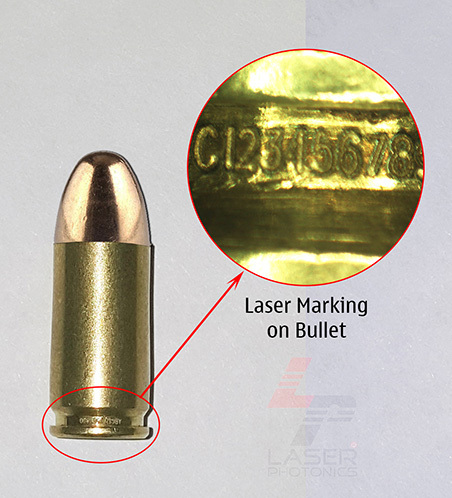 The United States government and the Department of Homeland Security has approved a variety of programs where lasers became an essential part of present and future applications for Direct Parts Marking, UID (Unique Identifier), and deep engraving. 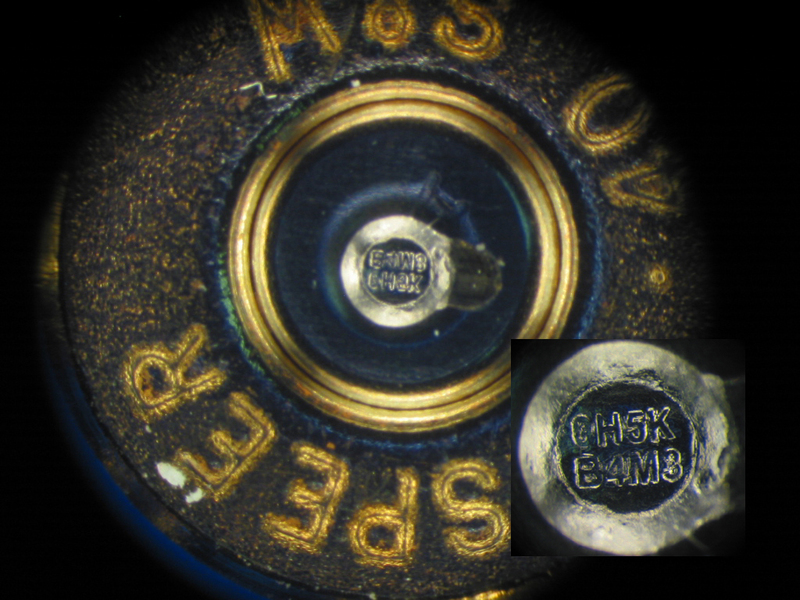 This resulted from the increasingly worldwide nature and importance of Direct Parts Marking, UID and deep engraving during manufacturing process for the purposes of trace-ability and production flow control, inventory control and renewal, service marks, product quality validation, and long term product liability and reliability. In the private sector, a variety of government contractors elected to use lasers engraving machines to comply with strict government regulations. 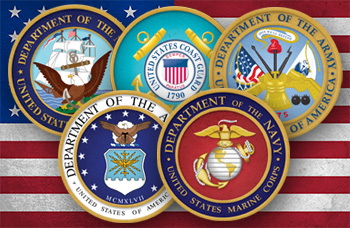 Laser Photonics has envisioned this opportunity and successfully introduced and delivered laser marking machines and laser engraving machines that are compatible with military standards while continuing to perfect the use and development of our laser technology. Small weapon identification, UID, Bar Code, Deep Engraving for such purposes as inventory, traceability, and renewal. See Laser Engraving Machines. Handheld laser permanent marking on all stationary and removable items such as ships, missiles, airplanes, tanks, etc. See Handheld Laser Marking Machines. Real size templates and sheet metal cutting for shipbuilding, missile and aircraft manufacturing. See Laser Cutting Systems. Tool, Parts, Machine Decontamination, and Surface Preparation. See Laser Cleaning Machines. Laser Photonics fiber laser equipment is safe, compact, and service-free, designed to meet individual laser marking and laser engraving needs with the ability to mark a wide variety of materials and techniques including Direct Parts Marking (DPM) of alphanumeric, logos, serial numbers, part numbers, lot and date codes, schematics, graphics, deep engraving and more. The laser engraving machine can be delivered as a stand-alone system, integrated into any production line or as a hand held portable laser marking machine. Laser engraving, laser marking, laser cutting machines used in military applications. Our fiber laser cutting machines are state of the art design combining the latest development in the motion engineering, CNC controls, and fiber laser material Processing Technologies. Most advanced cutting head design equipped with crash protection, auto focus, and high pressure, software selectable, assist gas (CO2 and N2 or Ar). The unique feature is that our systems can be delivered in any shapes and dimensions without sacrificing the performance for fabrication of real size templates for ship and missile building and aircraft skins manufacturing. Laser Photonics has innovated and developed laser systems that are compatible with military standards, while continuing to perfect the use of our laser technology for future commercial and defense applications. The Hand Held Fiber Laser is a safe, state-of-the-art, Direct Parts Marking (DPM) alternative for Nd:YAG and Nd:YVO4 lasers (Lamp-pumped, Side-pumped Diode, and End-Pumped Diode). Components include a Q-Switched Ytterbium Fiber Laser with Scan Head, Industrial PC Controller, Power Supply, and Marking Software. Direct Parts Marking, UID Marking, Date Codes, Bar Codes, Time Stamps and all other permanent marks on all non-movable parts and equipment for traceability and Code Compliance purposes. The Titan FLS 48, the newest edition to Laser Photonics’ product line, is a multipurpose fiber laser cutting system with a single pallet shuttle table. 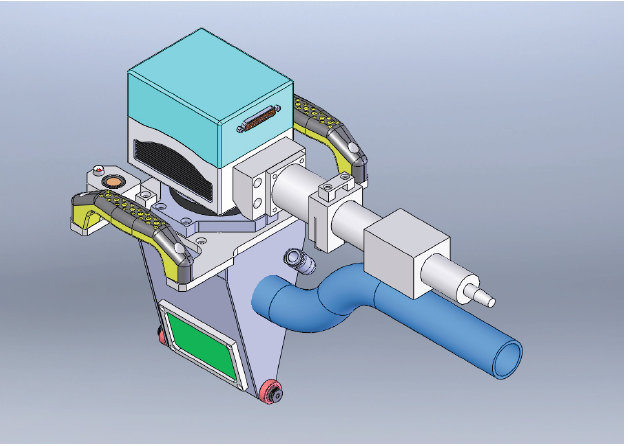 It is equipped with a high-powered, energy efficient fiber laser and an advanced direct drive motion control platform. Comparable to other systems, the Titan has a lighter weight design and the fastest cutting speed on the market for comparable systems.